This post was published in Spanish on the El Pais blog ‘3500 Millones‘. Andrew Sherriff co-authored it. Despite repeated (re-)commitments to provide 0.7% of Europe’s collective Gross National Income as aid (i.e. Official Development Assistance), ODA budgets are going down across Europe, the cuts in Spain being an extreme example. Yet in this rapidly changing world the question arises whether ODA remains the most important thing for the poorest in developing countries. Is there anything else Europe should be doing more? Some see the decrease in aid as wilful neglect undermining European credibility given the commitments given since 2005 to meet the 0.7% target. Others have longer memories noting that the ODA concept and the 0.7% target were already defined in the 1970s but that the ODA concept was incrementally changed while the target was not. There are a few countries that are bucking the trend but austerity in public expenditure spending has inevitably led to greater pressure on aid budgets. Some countries would like austerity in the EU budget for 2014-2020 and if implemented this ECDPM has estimated would result in billions of euro less for development. Spain is not among these vocal proponents of strong EU budget cuts, but has pleaded for an increased portion of the Union’s ODA budget to be spent in Latin America. The UK is increasing its national ODA budget but contrary to a previous commitment has not enshrined the 0.7% target into law. The fall of the Netherlands government over a proposed austerity package has avoided that it would have become the first ever country to first achieve the 0.7% and then reduce again, yet this discussion will likely continue after the elections in September this year. So if the trend swings against austerity there is a chance that ODA would return to previous levels, yet it is not a given that governments and populations across Europe would choose ODA as one of the first areas to spend on. 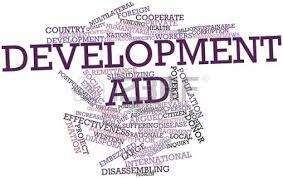 Moreover, the centrality of ODA in discussions on financing development after 2015, the ‘deadline’ for achieving the Millennium Development Goals, will be under discussion. To some ODA has always been a side show… European countries and the EU could always do much more to support poor countries by changing their own policies in areas such as agriculture, fisheries, trade, and migration so that these policies promote development beyond European borders. The overall idea is a powerful one and has been subject to discussion in the EU, OECD and UN as the concept “policy coherence for development”. Actual progress has however been slow, and the high level political support has been insufficient. Although occasional successes in reforming policies are made, many would have expected almost 20 years of discussions on policy coherence for development to produce a richer harvest in terms of actual results and a more positive contribution to development. For example, around 12 million hectares of land outside Europe may be attributed to European livestock production, and two thirds of the fish consumed in Europe is imported, all complicating developing country’s efforts to promote sustainable management of their natural resources. Another issue that is getting increasing attention, both in the North and the South, is how money for development can be found within developing countries themselves. “Domestic resource mobilisation”, as it is called, has become an increasing fetish amongst the aid community. Some see this as a natural evolution, while others are more suspicious since it could be used to distract attention away from the declining levels of ODA. Domestic resources, mainly generated through taxation, of course have of course always been more important to development that aid. So the question is what can the international community do to ensure that it doesn’t undermine domestic resource mobilisation. Indeed, the role of the international community and of the EU in addressing or promoting tax havens, multinational corporations and the extractive (oil, gas, timber, mineral) industries in developing countries is under increasing scrutiny. Recent policy discussions in Brussels and the Member State capitals however show that the EU finds it difficult to be a ‘first mover’. Europe fears reduced competitiveness if other important economic blocks would be less ambitious in terms of promoting fair and transparent investment in developing countries. There are no magic bullets in development, despite the increased pressure for “quick wins” and “success stories”, yet it would seem that greater policy coherence for development and better domestic resource mobilisation and its use should offer something to the world’s poorest. Yet this should not be an excuse to cut ODA that has proven to work and can in fact play a more effective catalyst role once other policies and domestic resources provide a more development-friendly environment. Niels Keijzer is Deputy Programme Manager EU External Action at ECDPM. Andrew Sherriff, who co-athored this article, is Head of Programme EU External Action.